The healthcare industry employs more people than any other industry in America. This is not expected to change any time soon, which is good for people seeking careers in healthcare-related fields. It’s not just nurses or specialist doctors who attended years of medical school; it’s a number of talented support staff whose jobs make providing health care to millions of people possible. One kind of support position is called a medical assistant. Medical assistants are projected to see one of the largest jumps in employment among all jobs in the coming years. The Bureau of Labor Statistics (BLS) anticipates a 29 percent increase in medical assistant positions through 2026 relative to 2016’s total. There are many reasons for this expected spike, particularly the percentage of the population that is reaching retirement age. The generation referred to as the Baby Boomers will require more medical care as they continue to age. More people needing care means more healthcare employees will be needed. Another reason for the uptick in demand is that more people currently have access to health insurance than in the past. Once again, more patients requires more staff members to help treat them. For those who may not know, medical assistants work in a variety of different medical settings, including hospitals, physician’s offices and immediate care centers. Essentially, anywhere you receive medical care there are likely medical assistants helping doctors and nurses run the facility. Medical assistants commonly perform tasks such as taking patients’ vitals, recording patient information, helping doctors with patient exams and scheduling appointments. The duties of medical assistants vary depending on the doctors and nurses under whom they work. Different medical offices have different needs. Some offices may need someone to handle mostly clerical tasks, whereas others may need a medical assistant to be more involved in helping with patient care. The beauty of being a medical assistant is that you will be prepared to handle the needs of any medical office. To break into the medical assisting occupation, most employers require the completion of a training program. Such programs are commonly offered at local trade schools and community colleges. Most programs can be completed in less than two years and teach you the skills you need to be successful in medical assisting roles. Some employers may require you to achieve certification by passing the Registered Medical Assistant (CMA) exam, administered at Coyne College. Earning the certification credential is a good idea even if prospective employers do not require it, as it can potentially make you more valuable and stand out from other candidates. Additionally, experience as a medical assistant can serve as a stepping stone for the advancement of your education in another healthcare profession down the line. In conclusion, now is a great time to pursue a career in medical assisting, and job prospects are expected to remain bright for years to come. There are sure to be changed in the technology used in the coming years and the challenges that come with them. 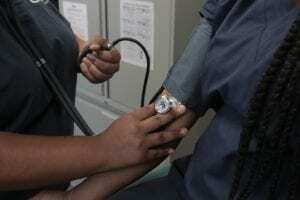 Medical assisting programs will have to make changes to their course materials accordingly. If you want to begin your medical assisting career with a proven top-notch program, look no further than Coyne College’s medical assistant program. Coyne College is one of Chicago’s premier trade schools, proudly offering its medical assistant program to future healthcare professionals. To best accommodate working adults, Coyne offers day and night options for the medical assisting program. 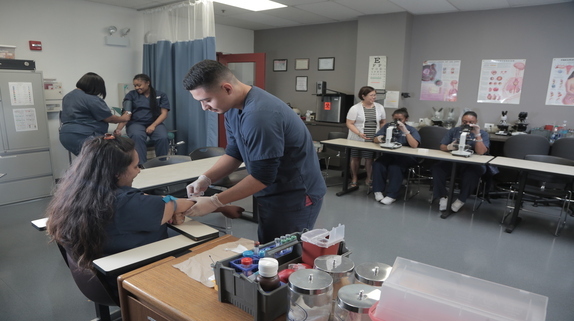 Coyne College’s medical assisting program is offered at the Coyne College campus, located in the heart of the Chicago Loop at the intersection of State and Madison streets. Coyne College’s medical assistant program thoroughly prepares you to enter the healthcare field as a medical assistant. The program can be completed in as soon as 54 weeks, allowing you to be ready for an entry-level role in a little over one year. You will learn the ins and outs of medical assisting in an environment surrounded by instructors dedicated to helping you succeed. Coyne’s highly knowledgeable instructors have years of meaningful experience in the workforce. Coyne College’s program also features a six-week portion dedicated to electronic health records. All medical assisting students are required to complete an externship following the completion of all of the necessary coursework. Following the completion of the program and your externship, you will be ready to enter the workforce as a medical assistant in any number of healthcare settings. With more than 110 years of experience in helping aspiring skilled trade professionals realize their dreams, Coyne College has a well-developed network of resources to help students gain employment after they finish their studies. Coyne College offers students career assistance, including mock interviews, externships and resume help. These resources can help students secure externships after completing the program. Coyne’s students receive a well-rounded medical assistant education that provides them with a toolbox for success in the healthcare industry. Start your journey to bettering the lives of patients today by visiting https://www.coynecollege.edu/.